IAS Annual Lecture: Are there national standards for good work? The lecture is open to all but please register by completing this form until November 7, 2017. For two decades, international organizations like the ILO and the European Commission have been promoting a qualitative approach to work, as a complement to the quantitative one driven by the aim of full employment that prevailed until then. While the ILO promoted the concept of “decent work”, the European Commission turned that into the claim for “better jobs”, subdivided into “quality of employment” and” quality in work”, a key piece of the European social agenda. France and Germany fed the debate, making better jobs a matter of public concern. But whereas “gute Arbeit” is the keyword for it in Germany, “qualité de vie au travail” is the one in France. Can we take for granted that these key words address the same kind of issue, beyond the fact that they both fall under the common umbrella of the English-language concept of “better” or “good” jobs? The issue is not just a matter of linguistic translation, but of categorization and valuation. The aim of the talk is to address the meaning of “gute Arbeit and “qualité de vie au travail” by giving insight into the contrasted processes of categorization involved. For this purpose, I will rely on some very preliminary results of a French-German ANR/DFG research project on workers’ capabilities for professional development in French and German sites of multinational groups. 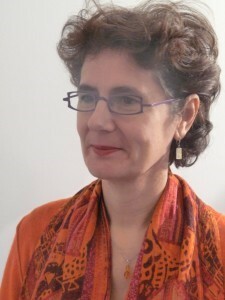 Bénédicte Zimmermann is Professor of sociology at the École des Hautes Études en Sciences Sociales in Paris and Permanent fellow at the Wissenschaftskolleg (Institut for advanced study) in Berlin. Her main research interests are in the changing role of work in European societies. She published among others Ce que travailler veut dire (Economica, 2011) and together with Jean de Munck, La liberté au prisme des capacités (EHESS, 2008).